Over the air or broadcast television is not just limited to the US, Canada or the United Kingdom. Many countries around the world are broadcasting free television. To receive these channels all you need is a television with a built-in tuner or a converter box. The basic principles are the same for most countries. The size and placement of the HD antenna will vary. This article is a list of resources in which you can find information on how to setup and receive free broadcast television in different countries. We will continue to update this article with more counties as they make the switch to over the air TV. If you need help translating this page into a different language please use Google translate. How Does Free Over The Air TV Work? The concept is very basic. Network television stations broadcast their content using towers. These towers send broadcast signals out to local cities. People can receive these signals with an OTA antenna. Depending on how close you are to the broadcast towers will determine the size of your OTA antenna. Many countries use different standards, so not all tuners and antennas are alike. Some counties standards are different than others. They use different broadcast and decoding methods. So make sure you are using the proper equipment for your area. 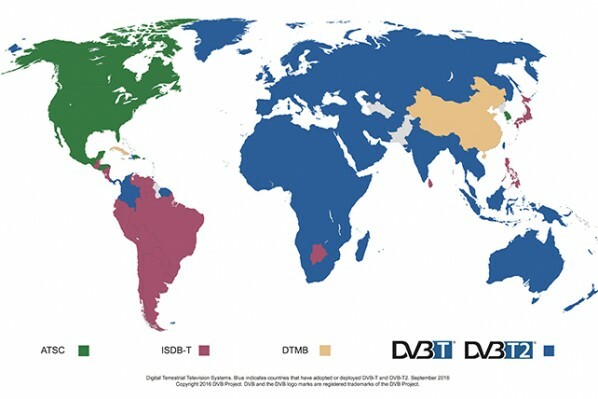 DVB-TV is the broadcast standard used mostly throughout Europe. Here are the countries that use this broadcast standard. ATSC is the broadcast standard used mostly in the US, Canada and Mexico. ATSC uses two HD standards 1080i and 720p. Here are the countries that use this broadcast standard. This is the broadcast method used primarily in China. Here are the countries that use this broadcast standard. ISBD is Japan’s digital broadcast standard. ISDB uses a modulation method referred to as Band Segmented Transmission. Here are the countries that use this broadcast standard. Free over the air HDTV has been working its way around the globe over the past few years. Many countries are offering free broadcast TV to the public. Here is a list of websites on where to find resources for setting up an OTA antenna in other countries. Over The Air Digital TV – Our USA OTA antenna setup guide page. Station Locator Tool – Just type in your address and find what stations are in your area. Mohu – Great selection of HD antennas and channel list for your area. Antennas Direct – Excellent antennas and setup guides. Channel Master – Nice selection of antennas, mounts and DVR’s. Over The Air Digital TV – Our UK guide to setting up an antenna for Freeview TV. Digital UK – Great resource for UK Digital TV. Amazon UK – Has a great selection of OTA aerials. Australian Retune – Official government communication website. mySwitch – Type in your address and zip code to see broadcast overage in your area. Ebay Australia – Has a good selection of antennas. Amazon Australia – Also has many OTA antennas for sale. The Germany Way – Excellent website on watching OTA TV in Germany. Freetv.net – Germany OTA website. Ebay Germany – Has a good selection of antennas. KPN Digitenne – Has a zip code tool to find the proper antenna. Public broadcasting stations (Netherlands 1, 2 and 3) are free to anyone who has a DVB-T receiver and antenna. Ebay Netherlands – Has a good selection of antennas and DVB-T receivers. TVNT – The official TNT (Télévision Numérique Terrestre) television site. How to setup free antenna TV. Agence Nationale des Frequences – Information website on the switch to TNT (Télévision Numérique Terrestre) television. One important thing to consider when you are planning to purchase an antenna in the US and then use in a different country is the connection type. 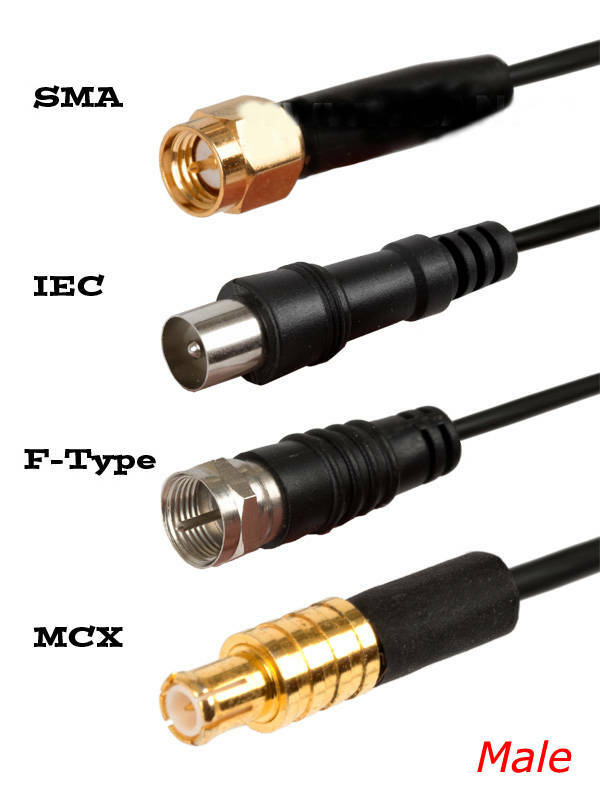 Other countries may use different types of RF connections. So make sure the antenna has the correct connection. The picture below illustrates these types of connections. Most European countries use the IEC connection. The USA and Canada use the F-Type connection. You can convert an F-Type connection to an IEC connection using an adapter. This may be a good option if you plan on buying an antenna in the USA to use overseas. Many countries are broadcasting free television. In most cases, if you live within the broadcast limits, just placing an antenna in your home will suffice. We would like to make this page a resource of information and will be expanding it with more countries. If you would like to contribute any useful websites that may help in setting up an OTA antenna in different countries, please comment below or contact me. I will add the suggested links to this page. Thanks.